A bad doodle of a pig makes a good dog on the moon. 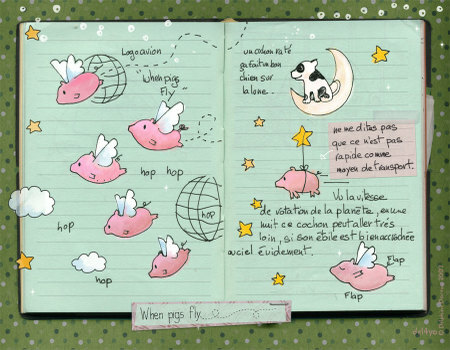 Then on the little pink paper and under: Don't tell me flying with stars isn't fast. 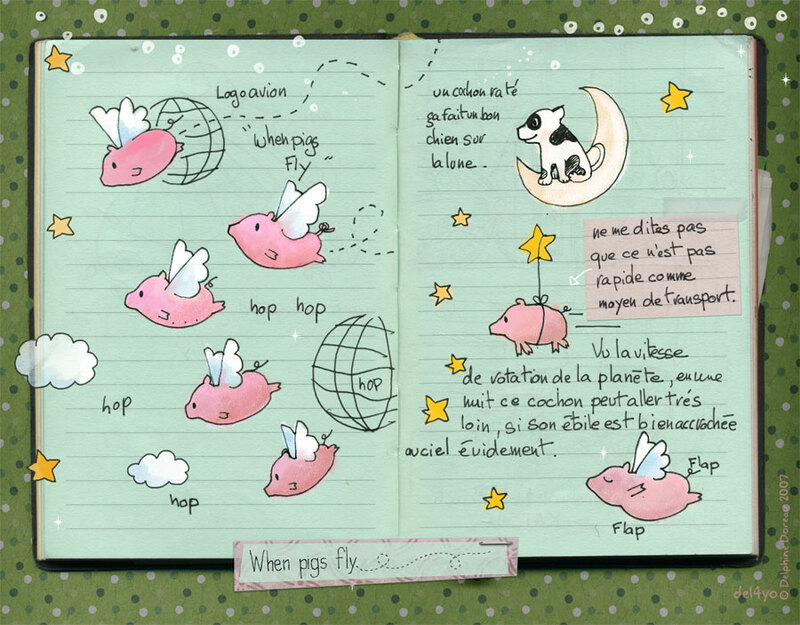 Just think of the earth rotation speed and imagine how many kilometers this little pig will be able to make in a night, if it's not cloudy, of course.